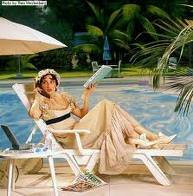 published the best pieces of Hemingway mockery you could imagine from here to where the sun also rises. The rules were simply that the writer mention Harry’s Bar & American Grill (Hemingway’s favorite watering hole), and be written in Hemingway’s style. 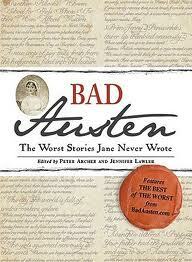 Joining the ranks of Bad Hemingway and Bad Faulkner books now comes Bad Austen…as in Jane. I’m delighted (but, by no means proud!) to report that — in the spirit of Pemberley — my short story will be included in the upcoming Bad Austen available in bookstores in November! This is just soooo exciting!!!! Joe & I are so happy for you!!! !